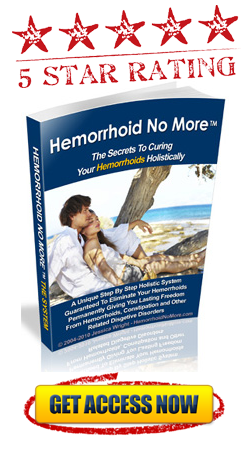 Although people who suffer from hemorrhoids can suffer from varying severities of this condition, those who have suffered from it in the past will know that it is a condition that can come with a lot of discomfort, pain and even embarrassment. It is also a condition that can cause a lot of inconvenience in your day to day life, which is why sufferers of hemorrhoids are usually keen to get rid of the symptoms as quickly as possible. The treatment options for hemorrhoids can vary based on how often you suffer from them and the severity of the condition. You can try a range of possible remedies, from home treatment to ease the symptoms through the over the counter treatments and prescription medication. You can also get these treatments in different forms, one of the most commonly used being treatment in the form of a hemorrhoid cream. Depending on how severe your hemorrhoids are, you will find that there are different hemorrhoid cream treatments that may be suitable for your needs. These hemorrhoid creams are designed to provide relief and easy the symptoms of your condition, which means less pain, itching, soreness and embarrassment. You may find that you are able to use one of the creams that are available over the counter to treat your condition, as these can be quite effective. If you are unsure as to which hemorrhoid cream to opt for, speak to the pharmacist, as he or she will be able to recommend one for you. Of course, there are other measures that you can use when it comes to treating hemorrhoids in addition to using a good cream, such as using a cold compress to ease any swelling. It is also advisable to look at the prevention of future bouts of hemorrhoids as well, as any hemorrhoid cream will be designed to treat current symptoms and not prevent future ones. In order to prevent future bouts of hemorrhoids you should make sure that you assess your lifestyle and your diet, as these can be major contributors to this condition. Opting for a higher fibre diet means that you will be able to pass stools more easily, which in turn can help to prevent hemorrhoids that are caused by straining. Obesity is another risk factor when it comes to hemorrhoids, so losing excess weight can help to reduce the chances of future bouts of this condition.